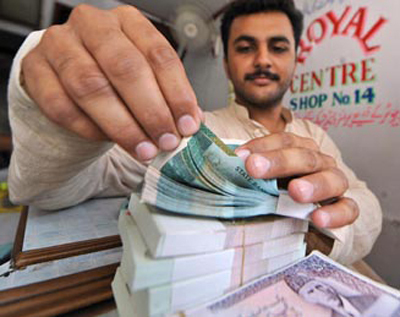 ISLAMABAD – Pakistan has managed to contain inflation rate within single digit during last year, which is lower than the regional countries, including India and Sri Lanka. Pakistan’s year on year inflation rate or Consumer Price Index (CPI) registered an increase of 7.9 per cent in December 2012 as compared to that of the last year. The CPI in India was 9.2 per cent followed by 9.2 per cent in Sri Lanka. However, it increased by 7.2 per cent in Bangladesh, official sources told APP. The price comparison of essential consumer items, such as wheat, wheat flour, rice, sugar and red chillies as on December 27, 2012 shows that their prices were lower in Pakistan than those in the neighbouring countries, including India, Bangladesh, Sri Lanka and Afghanistan. Feelings are mutual though , I’m surprised and happy as well . 8.79 % inflation is below my expectations . that’s great.